Are you the type of traveler hungry for more? Never leave a trip without inspecting every inch of fascinating local culture and territorial trademarks? Then look no further - we have exactly what your hunger needs. Let us fill your appetite with up close and personal experiences, all starting from the intriguingly captivating mouth of the amazon. At Rainforest Cruises we are blessed with a range of charming vessels that cover thousands of miles throughout the worlds largest rainforest every year. One of our brand new ships, the Jangada breaks its way into the Brazilian category with uniqueness and pride. Getting aboard this boat will reveal to you the quirky culture rooted at the heart of the Rio Purus river, where you can take the once in a lifetime opportunity to learn first hand how to fish with native sailors and fishermen. Observation of this ancestral fishing method is a unique and exclusive experience, only acquired upon personal visits to this village. Brazil is not the only hosted destination in the Amazon tropical rainforest with distinctly personal encounters at your fingertips. Departing from Iquitos, Peru on the Zafiro luxury cruise, we offer you to feed on extra special excursions of spiritual and soulful wonderment. Docking at San Regis, along the Amazon river you will get to learn about the traditional Peruvian communities within the land. Here, deep within the jungle walls, you will encounter indigenous folk of all shapes and sizes. Children sporting Native American face paint will exchange smiles and handmade crafts for your personal donations. You will be introduced to the local shaman; a man who will share his wealth of knowledge and understanding on a variety of private ancestral practices, including medicine of the Amazon. This experience will give you the opportunity to approach the shaman with any questions that you would like to ask, aiding you to learn more about the rare, inherited traditions. Afterwards, take a moment to participate in our tree planting ceremony, where you can help to personally contribute to the bountiful rainforest. Still hungry? Don’t worry. We still have room for dessert too. The final course of this set menu is the ever sweet Ecuador. Energetic voyages can be booked on either our Anakonda or Manatee vessels. We welcome you to embrace your inner ornithologist during these Ecuadorian journeys. Taking individual trips down the Pañacocha Lake you can discover over 500 species of local birds! Make sure you listen to the commotion in the surroundings as they communicate wildly through the trees. Following this remarkable piece of paradise, you will be escorted to a nearby campsite. Here you are given the opportunity to relax and enjoy unconventional, Amazon-style BBQ cuisine, prepared and served in the humble districts along the Amazon river. For the bravest among you culture hungry travelers, you even have the option to follow up dinner with a light swim in the Piranha Lake. Don’t be frightened, it’s not as dangerous as it sounds… we promise! 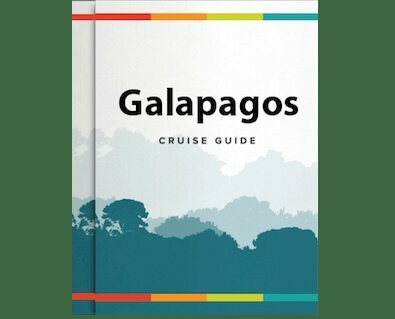 These cruises are undoubtedly more suited to those of you keen to probe through the greenery for hair-raising sightings of astounding wildlife. In addition to this you can choose to partake in our night roaming escapades, where you can marvel at the flora and fauna home to the diverse eco-system of the Amazon, even after the sun goes down. How to Reserve These Rare Encounters? If our specials board has you feeling full with intrigue, don’t hesitate to contact our team here at Rainforest Cruises for more information! Our experts will organize every detail for you, from booking your flights to private transfers in each location, we can ensure you are looked after and safe at every moment of your quest with us. Our clients are very important to us. As such, we will handle all of your requests as best as we possibly can to accommodate you and your travel companions. Before you go gallivanting off on one of our amazing Amazon cruise journeys, please show your interest by sending us an enquiry or calling 1-888-215-3555.